South Indian breakfast is incomplete without sambar and chutneys. I have already shared the recipes of idli, dosa, pongal, sambar and tomato chutney. 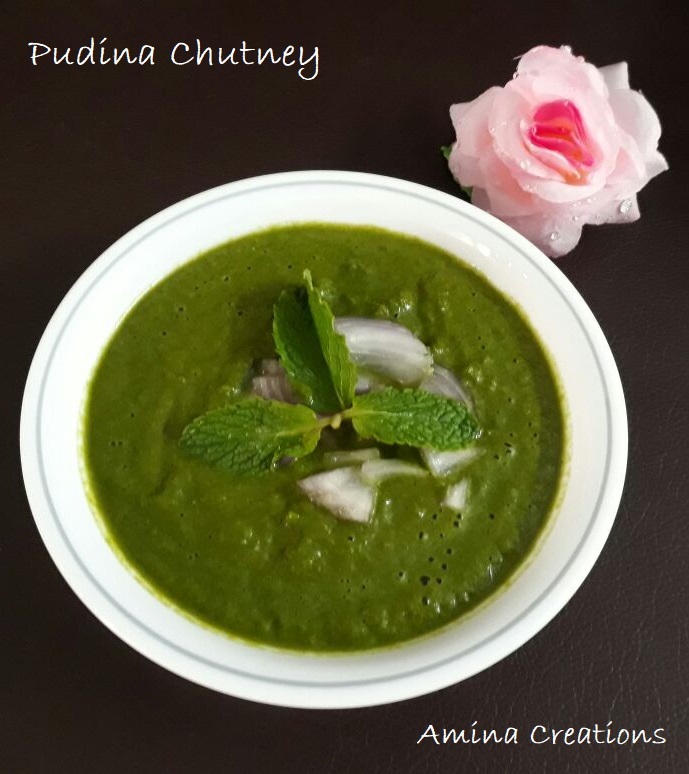 And in today's post, I am sharing a very easy, quick, delicious and no cook recipe of Mint/ Pudina chutney that gets done in less than 10 minutes. 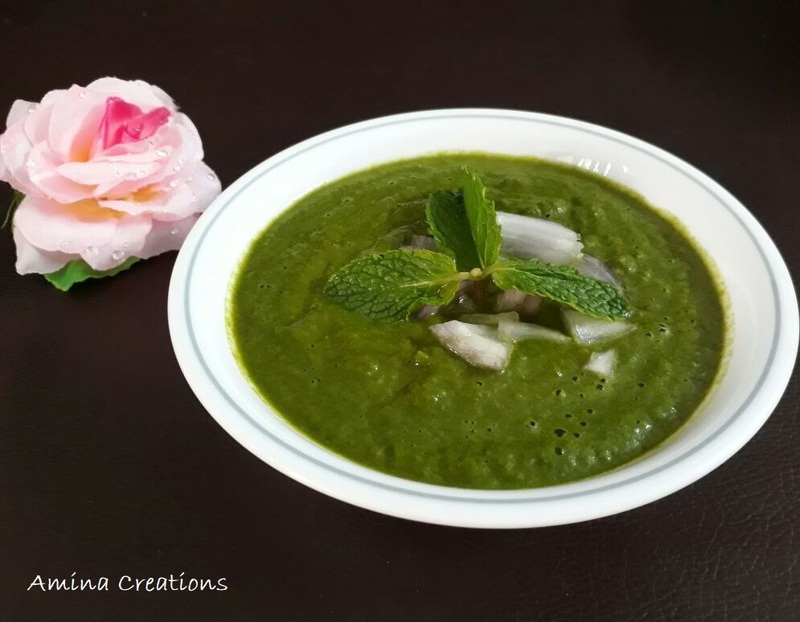 You can also make this chutney and serve with your favourite chaats or fritters/ bajji. Wash and keep the mint leaves, coriander and curry leaves ready. Gently mash the tamarind and keep this ready as well. Take all these in a mixer jar, add red chillies, salt, coconut paste, ½ onion and grind to a fine paste without adding water. Transfer to a bowl, add sliced onions and serve. Thanks for sharing Amina. The photo itself is so tempting, that I wish to try it out now!